California Girl, recently returned from Europe, and I ventured to Plymouth, CA to attend Amador Four Fires. 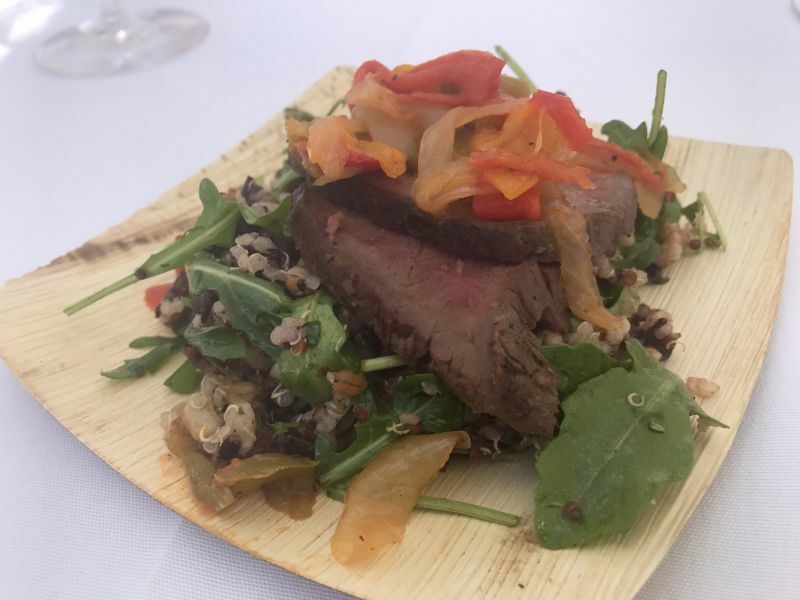 This was an event focused on showcasing winemakers in Amador County. We were miles away, both literally and figuratively, from the bustling wine country of Napa and Sonoma. The entire county’s population is less than half that of the town of Napa. We drove through rolling hills, which like so much of California, looks nothing like people’s perception of the Golden State. The road passed ranches and horse farms, but no vines. The event was held at the Amador County Fairgrounds in Plymouth and as we approached the small town, we did see signs to tasting rooms. 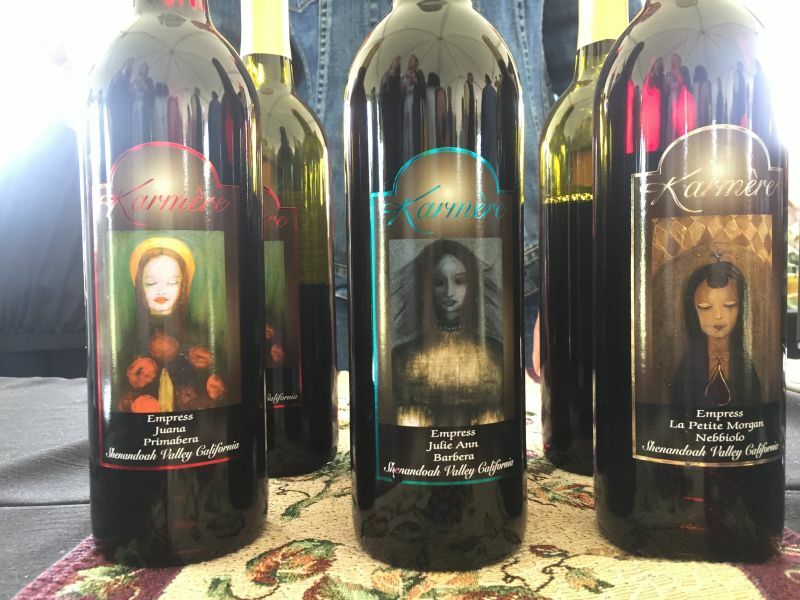 California Girl comments: Although we knew little about Amador County wines or its wineries, we were both excited to try something new. What a great event and venue. The weather was absolutely perfect for an outdoor event. There were tents all around, fun music in the background, and free food bites to enjoy. 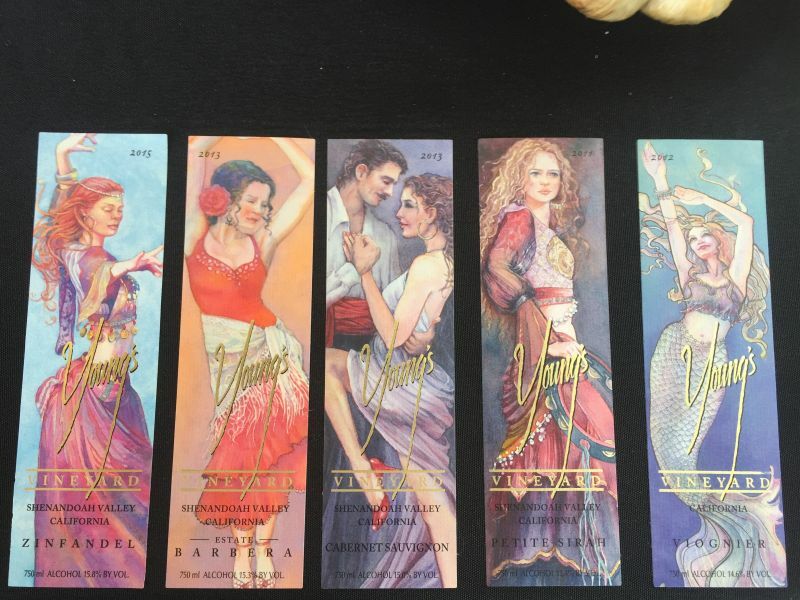 The festival’s name refers to four areas of wine inspiration that in Amador County’s wine production: Iberia, France, Italy, and “Heritage California”. This was reflected at the event by having the wine served in four different areas; one for each style of wine. Many wineries were represented in multiple areas. The most popular tent was that serving Italian varietals and after careful consumption and contemplation, I think that this was where the local winemakers were generally at their best. California Girl comments: I thought it was a very interesting way to organize the event. Several of the wineries had booths in multiple tents so there was an opportunity to taste their different styles of wine alongside other wineries who were doing the same grape varietals. We started with Heritage California, which focused on the wine that I expected to see at the event. I associate the Sierra Foothills with Zinfandel and had assumed that the bulk of the wine would use that grape. A couple of these stood out for me. Fiddletown Cellars had a wine called The Soloist; which oddly was a blend and not a single varietal. 60% Zinfandel and 40% Barbera, which offered a lush aroma of plum and leather and a wine that was more balanced than a typical jammy Zin. This cried out to be paired with the superb spice rubbed venison loin that was being served by Jackson Rancheria Casino Resort. It was only afterward that I found that this wine is priced at $20 a bottle, which makes it even more remarkable. 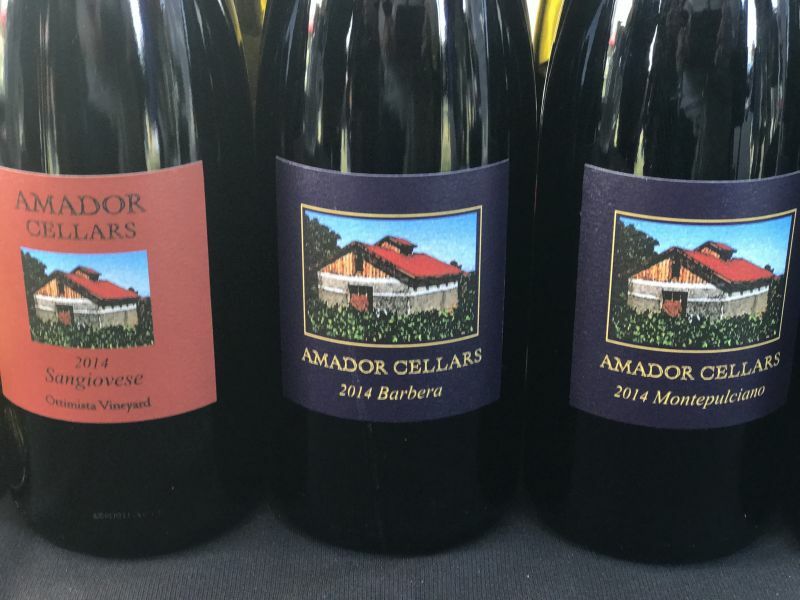 The other stand out Zin was from Amador Cellars, a 2014 Zin where they had picked the fruit early which resulted in less sugar and led to a more European wine with a bouquet of wood and mere hints of plum. The wine was soft and subtle, with cherry and rose petal. We shall make mention of this winery again. The next stall we tried was the Iberia tent. There was a Spanish flag flying outside, but the wine reflected Portuguese styles too. The outstanding wine here was the 2012 Wilderotter Tempranillo; which had a complex bouquet of oak, leather, and floral notes. The resulting wine was dry with lush fruit. The third stall was the Rhône Zone; which focused on wine styles associated with that area of France. I did not have much luck with the wines that I sampled from this tent, with one very notable exception. I found the Coopers Rousanne a delightful white wine which had a nose of Melon that implied a sweetness which, I am glad to report, was confounded by the taste. The wine was crisp, with a refreshing apple acidity. This was one of two white wines that I loved from the day. The fourth tent was the busiest and where we tasted the largest number of notable wines. California Girl found Amador Cellars Sangiovese, which we both agreed was an excellent example of the varietal. The nose was of cocoa and cherry. Taking a sip revealed a rich cherry taste backed with hints of espresso and chocolate. The Noceto Sangiovese was good, but not quite as well-balanced; I felt it had too much sweetness. Bella Grace had the other notable white of the day. The 2016 Vermentino had a nose of melon and willow. The taste was fruity, floral, with crisp apple elements creating a wine that once more was not as sweet as the aromas had suggested. There were several Barbera wines that I enjoyed, but none that were truly noteworthy. I tried a Nebbiolo, which was delightful and would have joined the list of wines I highlighted, but then I tasted the wine which, without a doubt, was my favourite of the day. The Karmère Nebbiolo was remarkable; still relatively young and with aggressive tannins, but already there were clear signs of a complex mix of raspberry, cherry, and leather. The Nebbiolo planting is young, so they cannot show a wine with a decade of age, but this wine has promise and as long as you like tannins can be enjoyed right now. 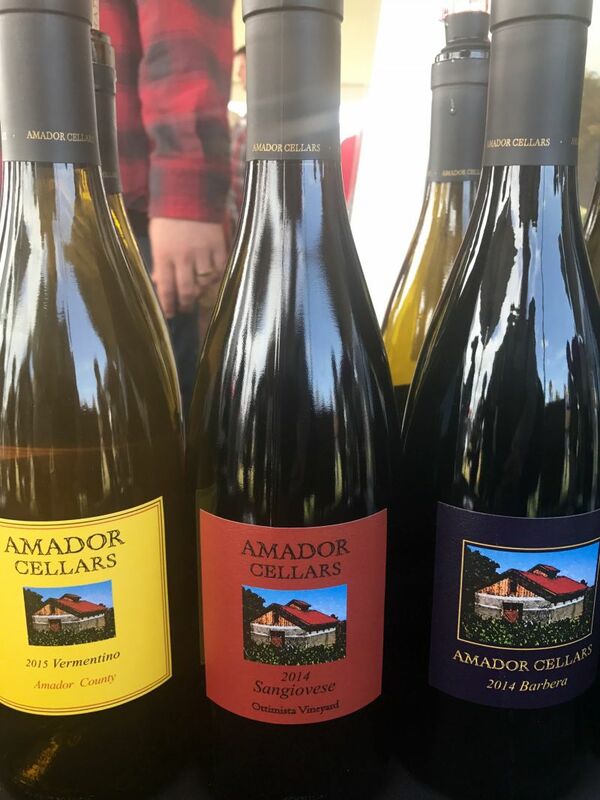 California Girl Comments: I can’t say I have a clear favorite amongst all of the choices, but I came away very impressed with the wines of Amador County and with the understanding that far more tasting is needed to be done by us. I guess we will just have to add that to our ever-growing list of places to explore and experience.